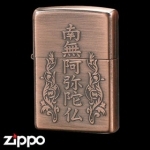 This mystic Zippo is inscribed with the words to the Hear Sutra, a Mah?y?na Buddhist sutra preaching the transient nature of all things. 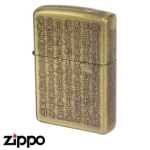 A must have collectable for fans of ancient oriental wisdom, or those who simply think sutras are cool! #207G Zippo base, five face reverse etching, gold finish.